Leobo is completely unique in it’s ethos and offering. 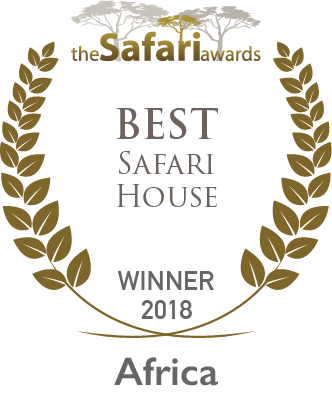 It is a private African family home, yet determined to not be a conventional safari destination. At Leobo the activities are exciting, the house is dramatic, and the wow factor from the start is spellbinding. Therefore we realised we had to be impressive with the marketing. We decided to take the idea of a promotional film to the next level and hired Disney filmmaker Leander Ward to shoot footage of the house, reserve and activities from two helicopters in 4k resolution. Needless to say, the result was absolutely stunning. The next step was to premiere the film in a befitting location. We hired the Soho Hotel private cinema in central London and invited all the tour operators, key members of the press, and potential clients to a drinks party and premiere screening. The event was such a success that we hired Barnsley House private cinema and hosted a replica event for the Gloucester based agents. One agent liked it so much he took the film to America and showcased Leobo in Soho House, New York. Following the outbreak of Ebola, enquiries to visit anywhere in Africa dropped off significantly. During the same period, a number of terrorist attacks in Kenya further deterred tourism to the country. We reacted promptly to the situation, ascertaining the true facts from the media hype, and tackling the fears with honesty and sympathy. We ensured the challenges facing our clients were met head-on and dealt with responsibly and positively so damage was reduced as much as possible. We recognised Belgium as a responsive, potentially lucrative market that required reassurance. We invited key agents and journalists to attend a briefing in Brussels in which we gave a presentation about the history of Lewa Wilderness and Borana Lodge and their immensely successful wildlife conservation efforts. In addition, we invited the former Kenyan ambassador to share his views on the recent terrorist attacks and safety of visiting Kenya - assuring agents that the vast majority of Kenya was save to visit. As a representation company, one of the services we offer is PR and communications. We work alongside leading travel journalists to secure editorials and other exposure for our clients in travel publications, national and international print media. This often involves organising a press trip or educational stay for the journalist to experience the product free of charge. In this instance, we organised a PR project personally for Namibia Horse Safari Company. We sourced a photographer who could ride and secured a commission with B-Beyond magazine for a thousand words written by us and accompanying photography from Philip Volkers. Olympus sponsored Philip’s place on the ride and agreed to showcase the images in an exhibition in central London on our return. The exercise was a huge success with B-Beyond printing a nine-page article about our ride, and two other magazines publishing variations of our piece. We are also hosting an exhibition at Olympus’s Image Space Gallery in East London to coincide with World Travel Market and look forward to showcasing Namibia Horse Safaris to the trade, riding safari agents, and prospective clients. In order to establish Leobo as an unconventional and completely unique holiday, we planned and hosted a party at the house and invited all the Good Safari Guide judges who represent the leading Africa tour operators. We ensured our guests had genuine fun and created lasting memories of something different to the many incredible places they are privileged to stay at. One of the activities we introduced agents to was paint-balling from a helicopter. Photos and videos of our guests having fun spread through social media platforms instantly and we very naturally created a buzz around Leobo, and provoked a reaction from the trade. Be it in awe or not, it put Leobo on the map and gave it the desired reputation of putting the fun back in to travel, and being extraordinary. We also played the helicopter paintballing video at a travel convention in Morocco creating further hype and intrigue.